Dr Anna Cohen and the Kids & Co. Clinical Psychology team offer specialised psychological services to the general community & provide a range of services to children, adolescents, adults & families with a goal of increasing resiliencies. Anna values your views of your current experience, and draws from the research, to work with you to collaboratively develop a treatment plan that suits your personal and family needs. Psychometric assessment of children eg cognitive, academic and developmental functioning. I value your views of your current experience, and work closely with you to make effective and efficient change. I develop a treatment plan that will best suit your personal and family needs, and which is researched to be the most effective form of intervention for the problem that you may be experiencing. 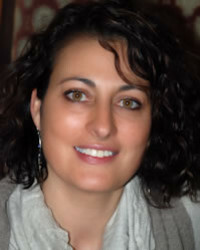 Anna specialises in the area of childhood emotional, behavioural and family problems. She is recognised with the NSW Psychologists Registration Board which is legally required to ensure that you receive optimal and current clinical care. Over 15 years clinical experience. At Balmain there is parking on the street. At the Katoomba office there is parking at the rear of the building behind the Commonwealth Bank. Medicare and Private Health rebates available. Cash, Credit card, or Eftpos.